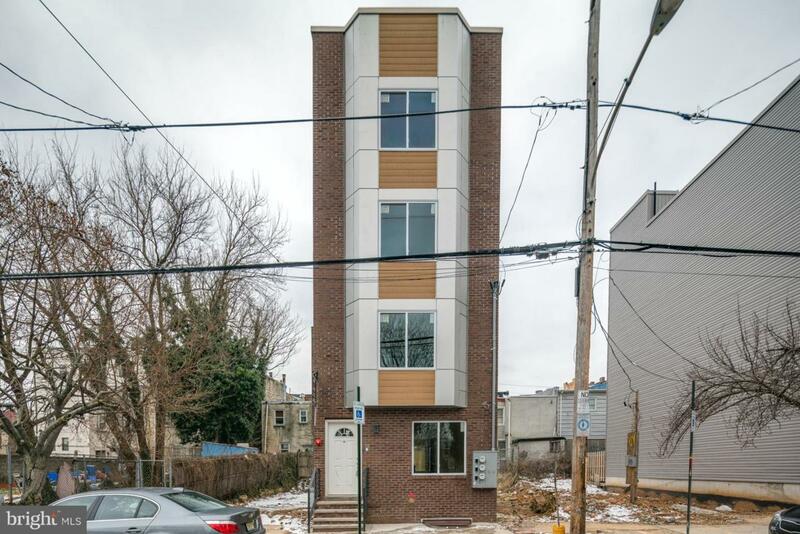 Located in the of Philadelphia's hottest new neighborhoods, this Francisville duplex is an ideal property for investors looking to add a solid new construction to their rental portfolio or an owner occupant looking to mitigate living costs. 1526 W Stiles features 2-units; a 2-bedroom with a large backyard patio and a 3-bedroom + den with a massive room deck.The building a fitted with premium Alaskan White Oak hardwood throughout. Energy efficient lighting, built-in sound system, contemporary kitchens with granite tops, high-end plumbing fixtures and European bathroom tile and vanities come standard.Unit 1 - (2 Bedroom) Lower level & Ground FloorWalk-in to find a large spacious living/dining area, powder room, kitchen with bar counter and a large living space with a slider opening up to the large backyard concrete patio. The lower level holds 2 bedrooms and 2 full baths. Unit 2 - (3 Bedroom + Den) Second, Third & Fourth FloorsLarge spacious living/dining area featuring a bay window, powder room, kitchen with bar counter and a large living space with a Juliet balcony. The third floor features 2 spacious bedrooms with a hallway bath. A fourth level hold a lavishly massive master suite, compete with a den, large master bathroom with dual vanities, soaking tub and shower stall. The master bedroom itself is huge and holds a walk-in closet plus a bay window. Make your way up to the roof deck and gaze at the beautiful Philadelphia skyline, don't forget to glance at the Ben Franklin bridge, you will be watching fireworks in that direction on NYE and the 4th of July. Located just a few minutes walk to the SEPTA Broad Street Line, taking you into Center City within minutes. You are also in close proximity to Temple University and the long anticipated reopening of the Philadelphia Metropolitan Opera, putting Francisville on the map on a national scale. 1526 W Stiles comes complete with a 10-year tax abatement & 1-year builders warranty. This phenomenal investment property will not last in this hot market!